Having young children around, everything turns into a debate – from who got the biggest portion of dessert to why can’t we stay up and watch just one more episode. The biggest one we have in our house however, is whose turn it is to pick a bedtime story. Any of the Roald Dahl books are a big hit in our house, although can they ever decide which one we should read first?! The next thing to decide is where we do our reading; on the sofa? In the kids beds’? In our bed? (or – a more recent request – having story time in one of the dogs’ beds!). 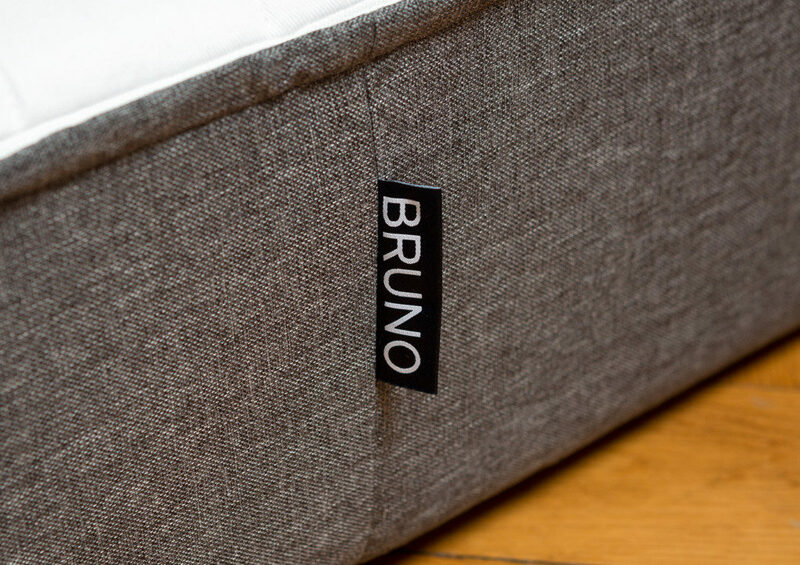 I have recently stumbled upon what I think might be the solution, the Bruno Mattress. Marketed as being “the ultimate sleeping experience”, my bets are on that it would also make a pretty cosy reading experience too. 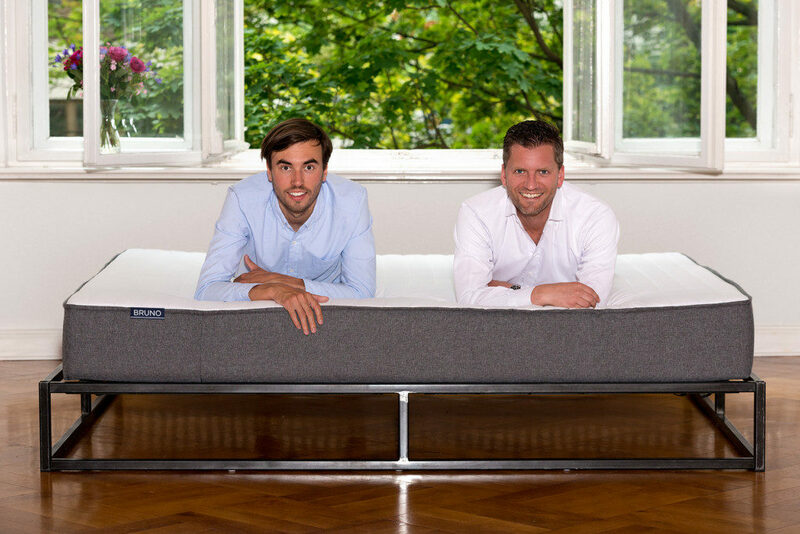 After having had enough of uncomfortable, sleepless nights upon overpriced mattresses, the founders of Bruno Interior GmbH, Felix Baer and Andreas Bauer, decided to develop their own. 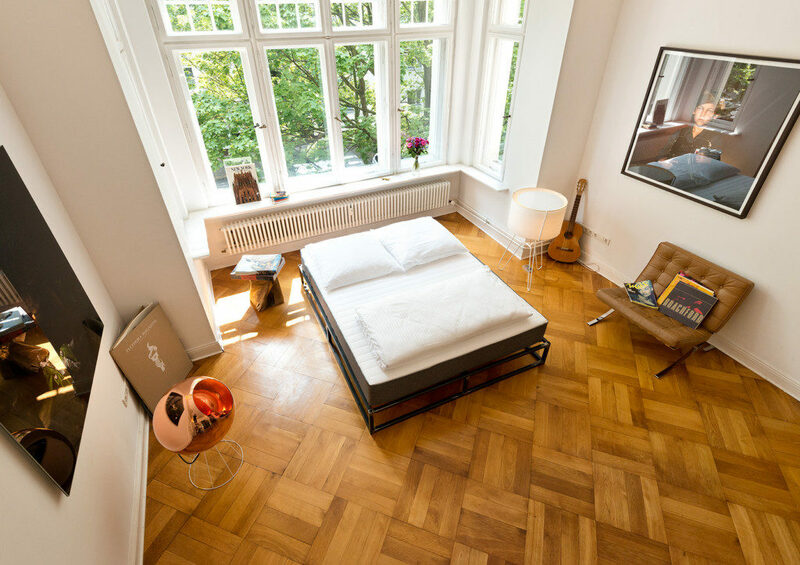 The pair tried and tested hundreds of combinations of high quality materials and foam compositions before developing the finished model of the Bruno Mattress. The foam core of the mattress is made up from a precision cut 7-zone support foam which is then topped with a naturally hypoallergenic latex comfort layer. The quilted cover top that you can see covering the top of the mattress can be completely detached for washing using a concealed zipper. The great thing about the Bruno Mattress is every aspect of it is designed to make your life easier. First of all, there is only one model available as the designers believe that the mattress composition should be perfect for the majority of body shapes, regardless of the preferred sleeping position. Another great thing is that the Bruno Mattress is sold entirely online in a direct-to-customer business model cutting costs and passing those saving on to the buyer. I’ve always believed that investing in a good mattress is money well spent. However, testing out a mattress in a salesroom for a few minutes doesn’t really give you a true reflection on how it might provide support and comfort to you in the coming years. That’s why Bruno Sleep offer a 101 night risk free trial – so, if you’re not completely satisfied within this time, the mattress will be returned at the company’s own cost and you will receive a full refund. After various rigorous assessments testing for quality and durability, every Bruno Mattress also comes with a 10 year guarantee. The Bruno Mattress would be perfect for us, as it claims to be suitable both for sleepers who prefer a soft mattress, and for those who prefer a firmer mattress because of the combination of the 7-zone core support and the 3cm latex top layer. Another benefit is that the latex used is naturally hypoallergenic, meaning that the mattress is also beneficial for sensitive sleepers. 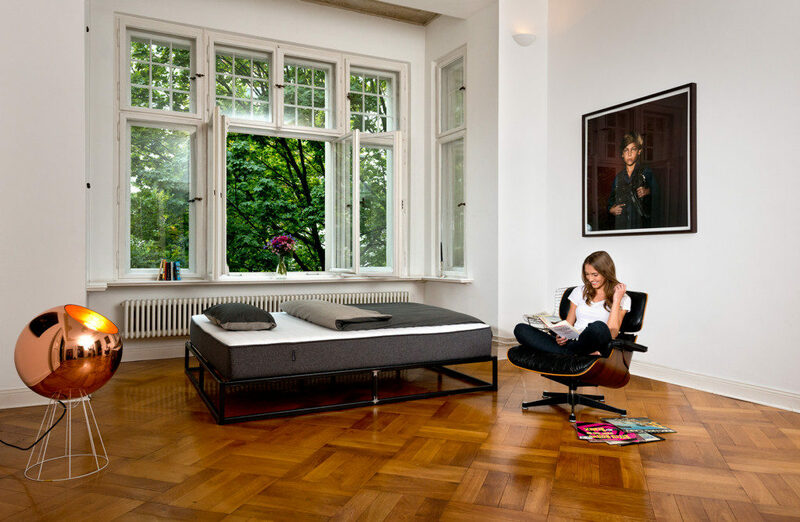 It is not just the levels of comfort offered by Bruno which I am sold on, but I like what the Bruno Mattress stands for; a product which is made thoughtfully by sourcing sustainable and high quality materials, assembled by hand in Germany and peace of mind offered to customers by providing a risk-free trial and a 10 year guarantee. Now that it’s available in the UK I can’t wait to try it out! I really love my comfort when it comes to sleep. 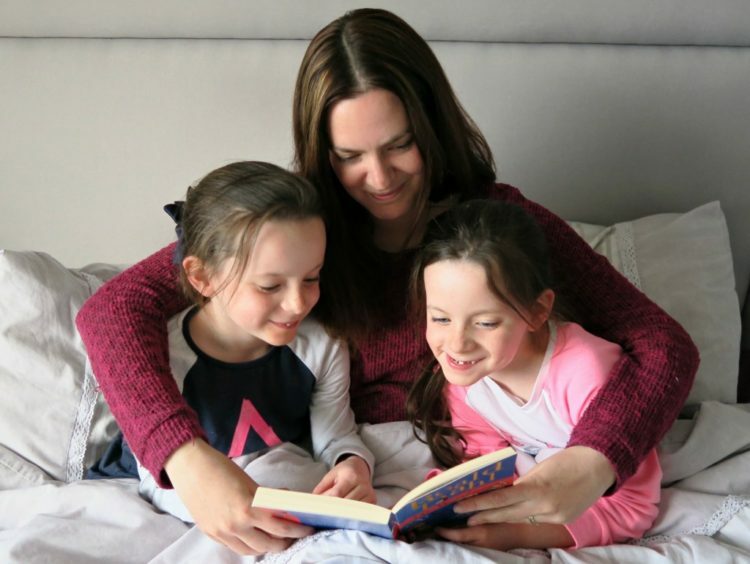 Sleep is very important to me and my favourite thing to do which doesn’t mix having 2 young kids but a comfortable mattress definitely makes it easier. Great post! The Bruno mattress sounds like something I need in my life. My partner and i are complete opposites when it comes to mattress preferences (he’s firm i’m soft aha!). The Bruno mattress definitely sounds like a winner. Also what a lovely photo of you and your girls in the bed, love the wallpaper! We invested in a memory foam mattress about 5 years ago and love it but this sounds very good. I great mattress makes all the difference.